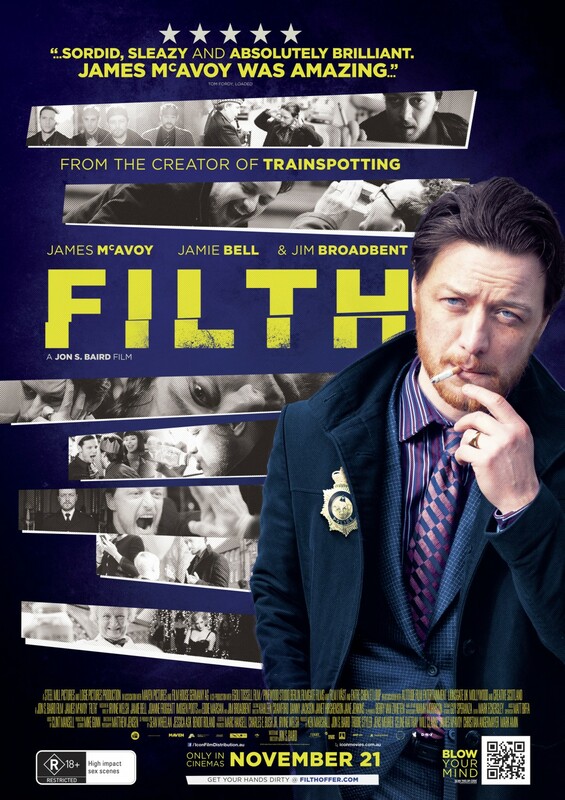 James McAvoy gives possibly the best performance of his career to date but unfortunately the film itself doesn’t come close to matching it’s power. 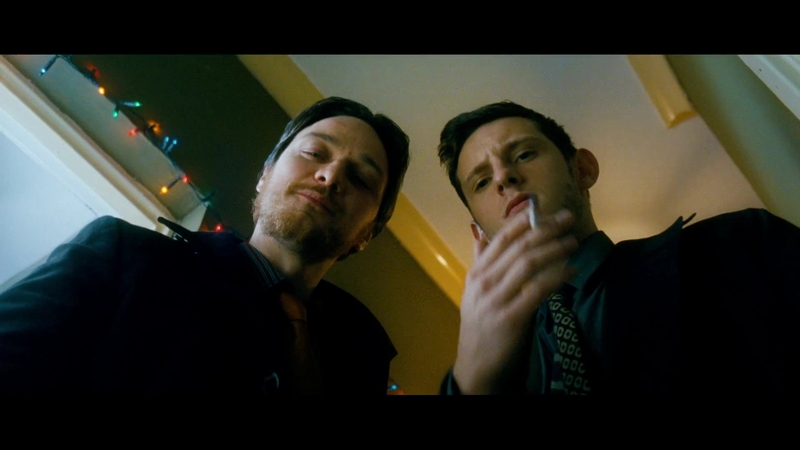 Here he plays one messed up copper in Edinburgh who is in the running for a promotion and will do anything to get it. As the film plays out you get to learn about his motives and what drives him. The cast all bring something interesting to the table-Jamie Bell as a young impressionable copper, Eddie Marsan as a sappy fellow mason, Imogen Poots as another of his rivals for the promotion, Jim Broadbent giving his best in dreamstate bizarro, even David Soul turns up in one of the weirdest out of place scenes I have seen for a long while. Irvine Welsh is a very interesting writer and during the 90’s he was churning out some great work. All the adaptations, however pale in comparison. Even Trainspotting, which was an enjoyable flick (the only Danny Boyle film I half-like), was nothing compared to the raw power of the book and here’s the problem, how do you translate the visceral nature of the written word to the big screen. Maybe it can’t be done in Welsh’s case. His writing is so different and although it can be cinematic at times it loses so much of its strength in the translation. The shocking scenes are no longer shocking in 2014, it’s all a bit ‘yeah, and?’. Nice to hear Clint Mansell’s soundtrack, he has been doing very well for himself in the world of cinematic orchestration since he had success in the grunge scene in the 90’s with Pop Will Eat Itself (Riffs? Yeah? Can ya dig it?) most notably with Darren Aronofsky. It seems at times that this is a film that would have been made better by a more seasoned, talented director. Jon S Baird is probably best known for Cass, which was alright, no big shakes. The tragedy of it all is the fact that James McAvoy really shows us how great he is portraying the corrupt, racist copper with depth and commitment. Let’s hope he gets a chance soon to do this on a bigger and better stage.